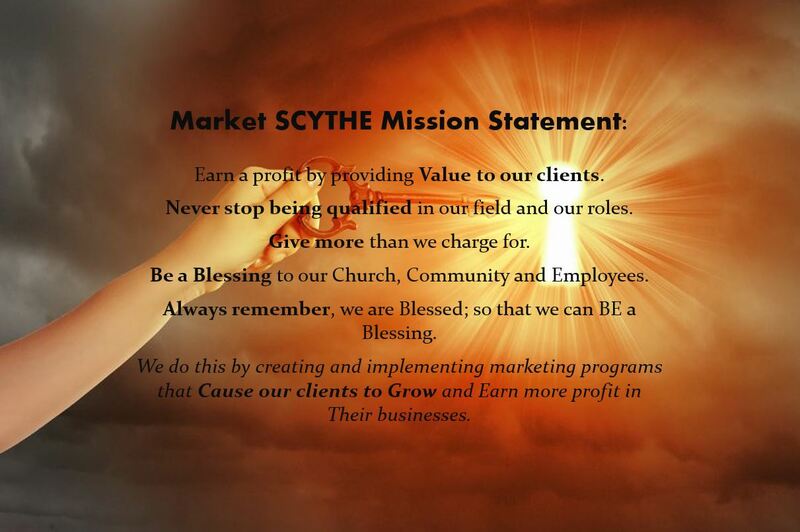 Earn a profit by providing Value to our clients. Never stop being qualified in our field and our roles. Give more than we charge for. Be a Blessing to our Church, Community and Employees. Always remember, we are Blessed; so that we can BE a Blessing. We do this by creating and implementing marketing programs that Cause our clients to Grow and Earn more profit in Their businesses.